All welcome to come watch and enjoy cafe amsterdam even if not playing. We will meet up at a nice cafe in the city senter for a fun tournamant style play of Texas Hold Em Poker. No Money involved of course. 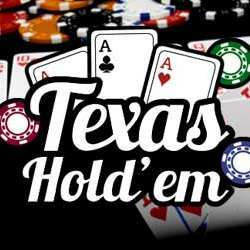 Texas hold 'em is now one of the most popular forms of poker. Texas hold 'em's popularity surged in the Protected content due to exposure on television, the Internet and popular literature. During this time hold 'em replaced seven-card stud as the most common game in U.S. casinos. The no-limit betting form is used in the widely televised main event of the World Series of Poker (WSOP) and the World Poker Tour (WPT). Beginners are welcome and of course coming to watch is fun as well. This is a very social style of playing the game. We will of course go over the rules and have cheat sheets for beginners. Easy way to learn the game as well. More details to follow. Give it a go!